President Muhammadu Buhari will be represented by Vice President Yemi Osinbajo, SAN, at the African Union Summit formally opening on Sunday in Kigali, Rwanda. The 27th Ordinary Session of the Assembly of the African Union (AU) is scheduled to hold from 17 to 18 July, 2016, although a retreat of African Heads of State and Governments has been scheduled for tomorrow July 16 ahead of the formal summit opening on Sunday. The Session has been preceded by the 32nd Ordinary Session of the Permanent Representatives Committee (PRC) and the 28th Ordinary Session of the Executive Council of the Union at the ministerial level ending today. The AU summit theme is African Year of Human Rights with a particular focus on the Rights of Women. 2016 is also being celebrated by the Union as the year of Human Rights with the aim of raising awareness on human and peoples’ rights, particularly women’s rights, on the continent and taking stock of progress or efforts made, including major challenges and/or obstacles encountered. 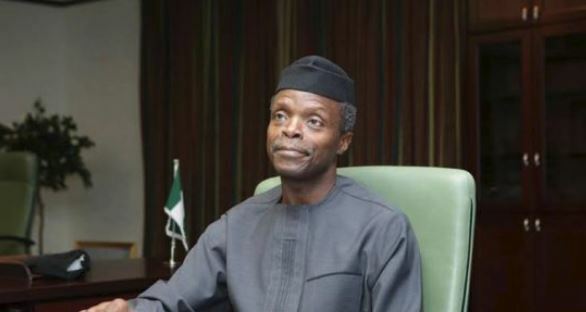 Prof. Osinbajo, who is being accompanied by Finance Minister Mrs. Kemi Adeosun and Ambassador Babagana Kingibe among other functionaries, leaves for Kigali today and his expected back on Monday.